When you spend fifty thousand dollars or more on a tow vehicle you don’t intentionally neglect the vehicle. But, it is quite possible to neglect certain things without even knowing it. For example, if you don’t have the hitch set-up properly, and too much weight is resting on the hitch ball itself you put more strain on the tow vehicle’s suspension. Another example is not monitoring, or possibly not even knowing what temperature the engine, transmission or other major components are running at. Heat is your tow vehicle’s worst enemy. So where do we start when it comes to maximizing the life of our tow vehicle? Let’s start with the basics and go from there. Before you layout your hard-earned on a tow vehicle make sure you know how much the vehicle can really tow. What does that mean? It’s unfortunate, but vehicle salespeople don’t know, or don’t understand what a vehicle’s tow rating is. To complicate matters more, in any given model year truck manufacturers offer hundreds of different configurations in the truck and SUV lines they sell. You can take two trucks that are the identical model, year, cab configuration, engine and transmission, and the tow capacities can be thousands of pounds different. That might sound hard to believe, but it’s true. There are several factors that contribute to this, the most common, and perhaps the least understood is the rear axle ratio. The ring and pinion gears used in an axle determine if the vehicle is better for fuel economy or better for towing. 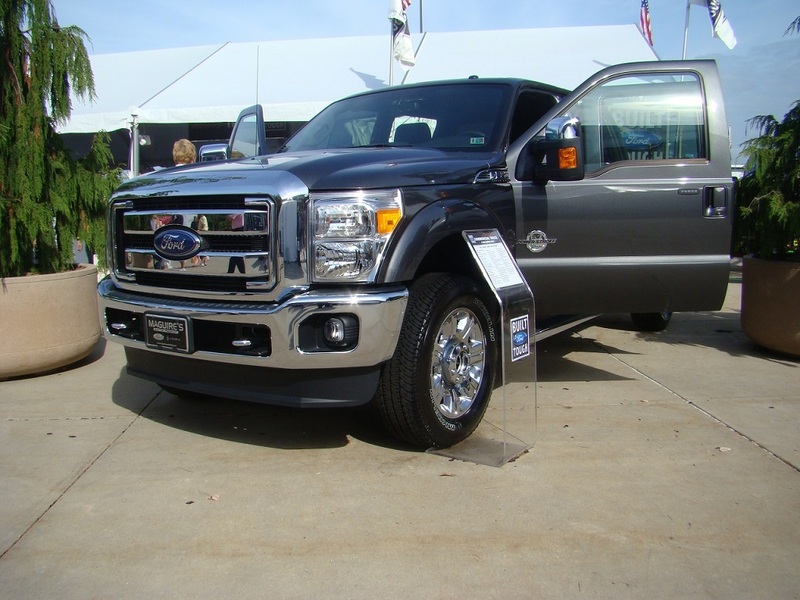 If you purchase a truck to use as a daily driver you want to maximize fuel economy. On the other hand, if you purchase a truck to tow a trailer or haul heavy loads on a regular basis you want a good towing axle. There are axle ratios that offer a compromise between fuel economy and towing. It’s easy to see why this is a confusing topic. When you purchase a tow vehicle you need to make sure it has a rear axle ratio that can get the job done. The higher the ratio is numerically the better the axle is for towing (3.73, 4.10 etc.) The lower the ratio is numerically the better the axle is for economy (3.23, 3.42 etc.) So, a good middle of the road axle, to compromise between towing and fuel economy, would be a 3.55 ratio. Another consideration is gas vs. diesel. Engine and transmission technology continues to advance, and there are lots of capable gasoline engine, transmission and axle combinations for towing a trailer, but diesel engines are still predominant in the towing marketplace. The main reason is torque, or raw pulling power. The torque produced at lower RPM’s is ideal for moving heavy loads. Torque increases towing capacity, and the Gross Combined Weight Rating (GCWR) of the tow vehicle. The GCWR is a term you seldom see or hear about, but is extremely important. The GCWR of a tow vehicle is the maximum allowable combined weight of the fully loaded truck and fully loaded trailer. Regardless if it’s gas or diesel, the GCWR is a crucial rating to consider when you purchase a tow vehicle. Another consideration is cost. The cost of trucks continues to increase, diesels more-so than gas. 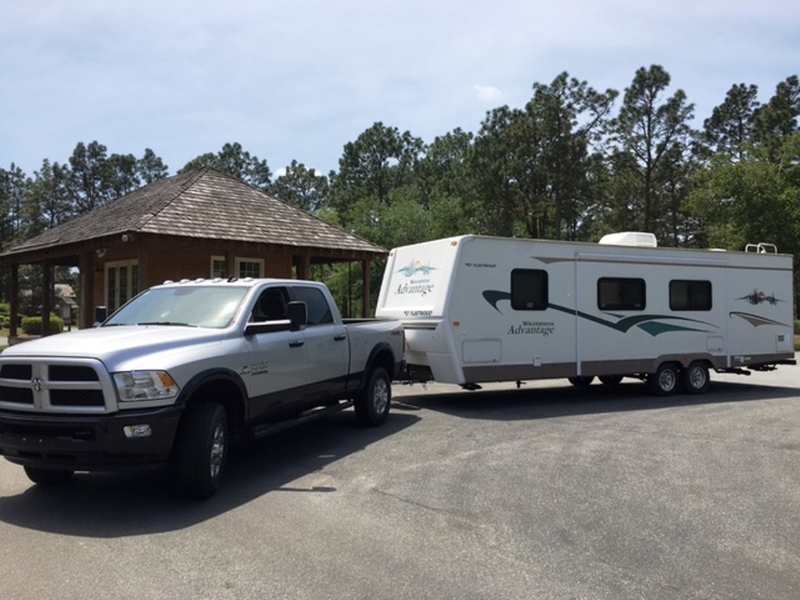 After researching, selecting and purchasing the right tow vehicle for the job you need to select a travel trailer or 5th wheel trailer that doesn’t exceed the vehicle’s tow rating, or other weight ratings on the tow vehicle. I have produced training videos and written books on this topic alone because there are so many variables, but in keeping it simple I suggest you purchase a trailer with a Gross Vehicle Weight Rating (GVWR) that is equal to or less than the tow vehicle’s tow capacity. What this means is, even if the trailer is loaded to its max capacity (GVWR) the tow vehicle is still rated to tow the trailer (at least on paper). I do need to add a disclaimer here: you still need to make sure weights do not exceed the vehicle’s payload capacity, gross axle weight rating (GAWR) or Gross Vehicle Weight Rating (GVWR). The tow vehicle and trailer both have these individual weight ratings that cannot be exceeded. 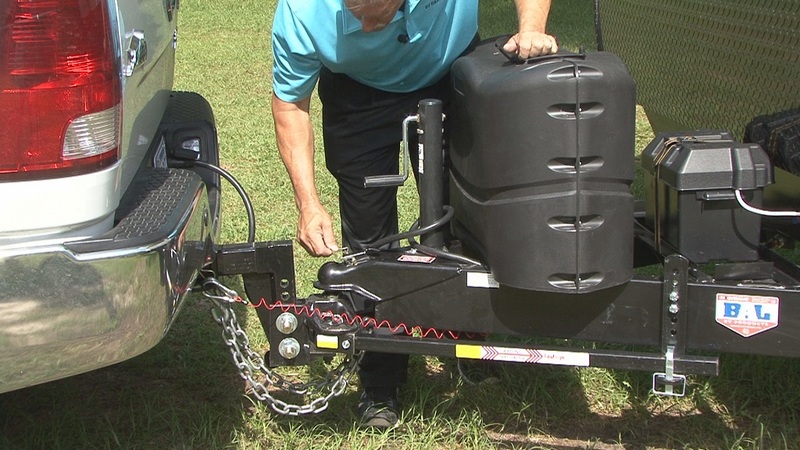 Next, you want to make sure you are using the correct hitch components to safely and properly tow the trailer. You can write a book on this topic too. First, it’s important to understand every component in a hitch system has a weight rating. This includes the hitch receiver on the truck, the hitch ball, the ball mount, and any weight distributing hitch system that is used. Using the proper hitch components is great, if it is used correctly. 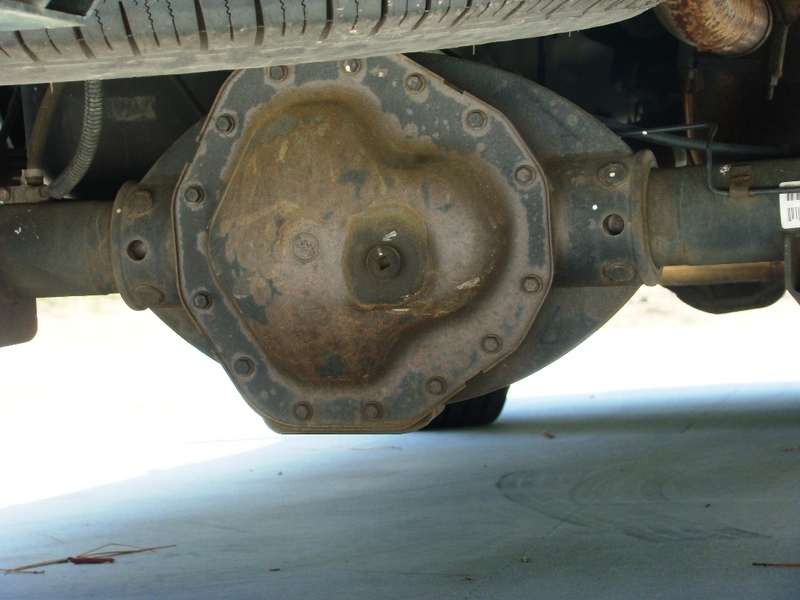 If you put too much tongue weight on the hitch ball you add stress to the tow vehicle’s drive-train, and it affects the steering and handling of the vehicle too. It’s important you let a service facility with properly trained technicians install and adjust the hitch components for safe towing. Make sure you thoroughly understand how to hitch and unhitch the trailer prior to leaving the dealership because it will be your responsibility to do it correctly from that time on. With the onset of the SAE J2807 towing standard truck and SUV manufacturers are refining technology that results in better towing design and capabilities. For starters, when you purchase a vehicle to use for towing you want to make sure the vehicle is equipped with a towing package. A towing package typically includes a hitch receiver, 7-way trailer light plug, transmission oil cooler, heavy-duty suspension system, towing mirrors, and a heavy-duty cooling system. Additionally, manufacturers are including innovative technology like electronic trailer sway control, integrated electronic brake controllers, tow/haul transmission modes, auxiliary braking systems, advanced air ride suspension systems and multi-view camera systems. So, its easy to see why a tow package option is essential equipment for towing a trailer. Having the right truck, trailer and hitch components is extremely important, but towing heavy loads still puts a strain on the tow vehicle’s drive-train. One result of towing heavy weights is fluids in the engine, radiator, transmission and rear axle run hotter than normal. This increased heat can cause a component to overheat, or reduce the lubrication required for the component to operate properly. 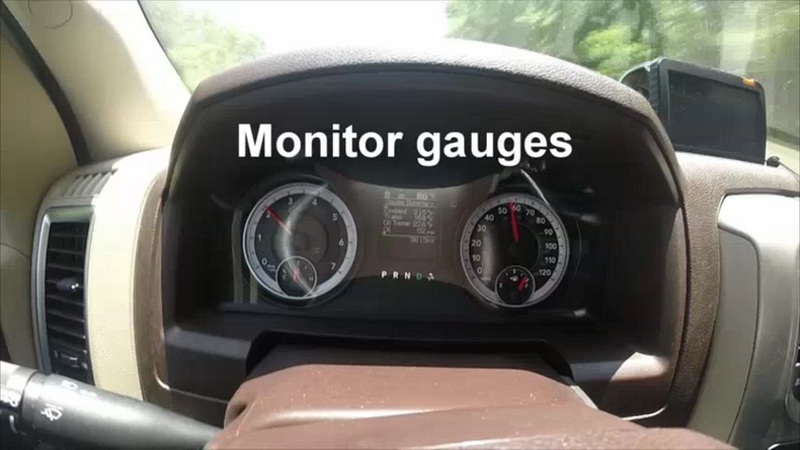 It is absolutely essential for owners to monitor gauges and know what normal temperatures are, so you can tell when a component is running hot. 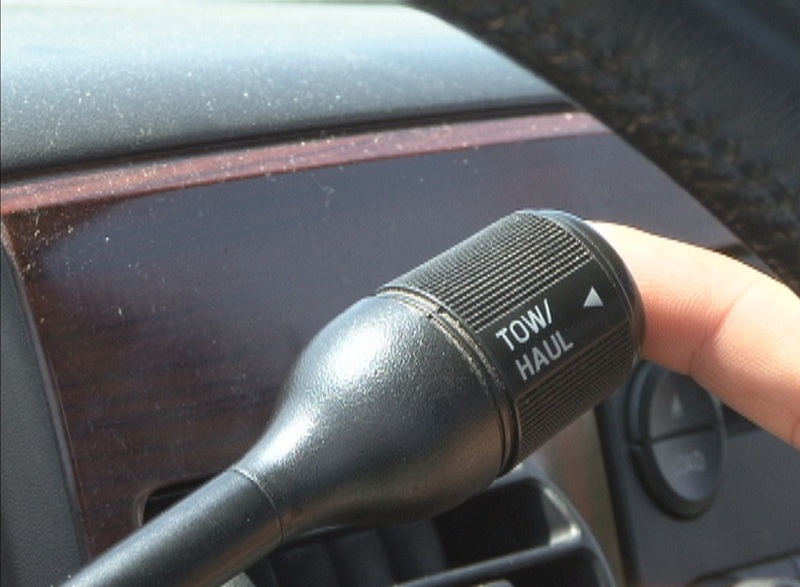 Lots of people aren’t in the habit of monitoring gauges when driving, so a conscious effort must be made to do it. Another problem is; some vehicles don’t have gauges to monitor components like the transmission and rear axle temperatures. If you plan to tow frequently, or in extreme conditions it would be wise to have oil temperature gauges installed in the vehicle. There are aftermarket products available like larger transmission fluid pans and differential covers with cooling fins to help with cooling. While we are on the topic of oil and fluids, perhaps the most important thing owners can do maximize the tow vehicle’s life is to replace fluids, oil and filters on a regular basis. Fresh clean oil contributes to better lubrication and components running cooler. I mentioned tow/haul modes when I discussed towing packages. It’s important to understand proper gear selection when towing a trailer, to maximize towing efficiency and minimize stress and strain on the tow vehicle. Review your tow vehicle owner’s manual to understand tow/haul modes and gear selection when towing a trailer.